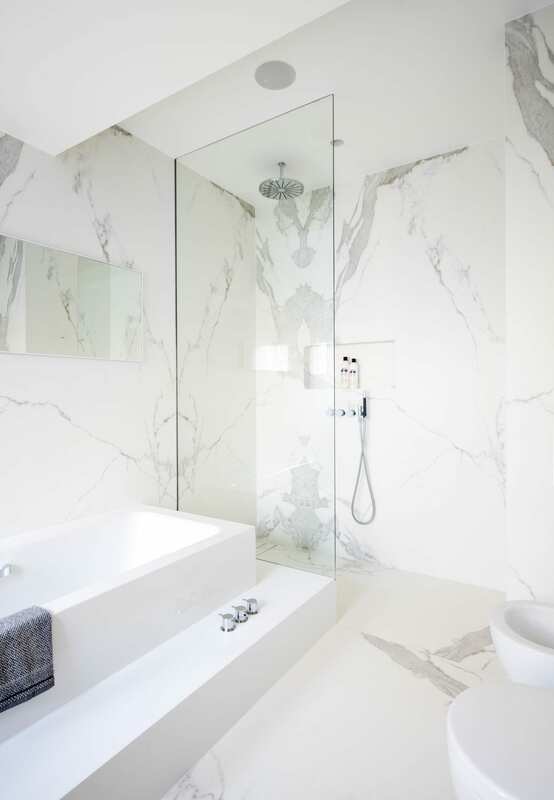 A high impact master bathroom created from a minimal design. Estatuario porcelain tiles have been used on both the floors and walls to which add interest to the minimal design. The master en-suite benefits from a large bath, a large vanity unit, and a walk-in shower, creating a luxury statement. 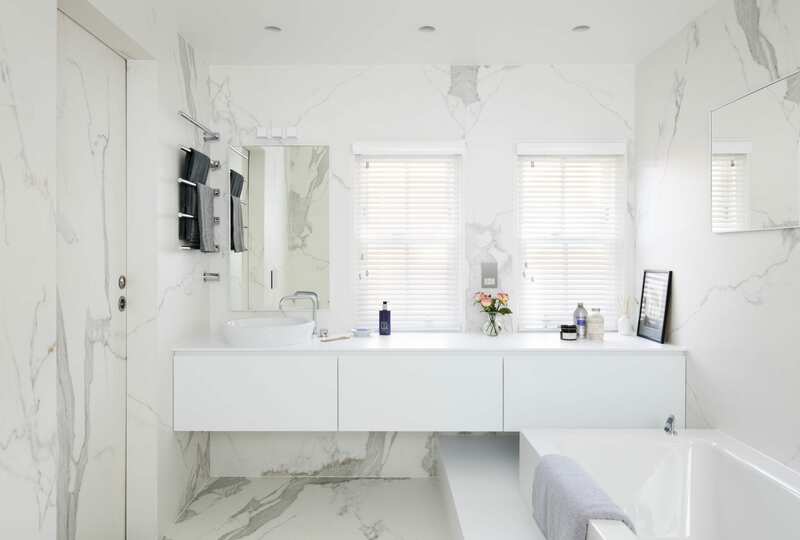 The master en-suite benefits from both a large bath, a large vanity unit and a walk-in shower, creating a luxury statement. Estatuario (6mm thick, 1500×3000) porcelain tiles were used both on the walls and the floor. A smart storage solution for the cabinetry allows it to serve multiple uses.